Football's winning coaches Mike Ditka, Sean Payton, Rex Ryan, and Bobby Bowden provide you and your team with insights on Sales, Innovation, Leadership, and Teamwork in this new series. Contents:	See individual programs for the list of contents. 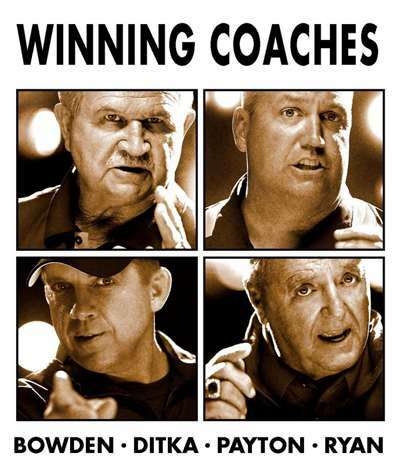 Football’s winning coaches Mike Ditka, Sean Payton, Rex Ryan, and Bobby Bowden provide you and your team with insights on Sales, Innovation, Leadership, and Teamwork in this new series. These coaches have an amazing track record! Now you can take their core lessons and apply them to your team and build success. Each program features a motivational shortcut as well as the full training program. They also come with comprehensive guides.